Everyone is trying to save money in this economy. Any way that you can save money and help the environment is great. By conserving energy you are doing both. Today’s energy costs are steadily rising. The average energy bill today is twice the average of the energy bills of only a few year ago. There are plenty of things you can do to conserve energy use in your home. Conserving energy is a great way to save money and to help the environment at the same time. Here is how you can get started conserving energy today. Start turning out lights that are not in use. Also, it will help to use natural light around the house instead of turning on lights. Open the curtains on the windows and let the sunshine in. When you leave the room, or in the middle of the day, turn off the lights. This simple task can save hundreds of dollars annually and lower carbon emissions drastically. This has a direct effect on your monthly energy usage and costs as well. Call your electric company to request an energy audit. Your electric company will honor this based on how much electricity you use. Your electric company will send an energy auditor to you. They will come to your home and give you tips on how to improve your energy efficiency. They may even give you free light bulbs, faucet heads and rebates on your appliances to help you continue conserving energy long after your audit is completed. make a schange in which light bulbs you use. Change your lightbulbs to flourescent bulbs. 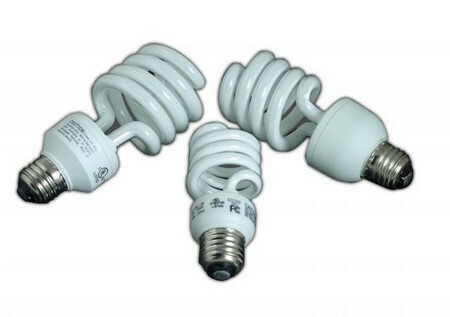 They are also called CFC (compact flourescent bulbs) and they consume less energy than regular incandescent light bulbs. This can reduce your monthly energy bill. Utility companies also offer rebates so that also helps you save money. You can save money on your next energy bill simply by turning down the temperature setting of your hot water heater. He recommended setting is 120 degrees Fahrenheit. This is also a safety tip. Anything higher than this can increase the risk of burns and injuries. Instead of using your dryer for laundry, hang youe clothes outside to dry outside. Your clothes will smell fresher as well. Buy appliances that use less energy than other appliances. Certain appliance makers also offer the consumer instant and mail in rebates from as much as $50 – $250 dollars. They even have programs where you can trade your old appliances from the same maker. Refrigerators use the most energy. So if you have the desire to conserve energy start with your refrigerator. About the Author: Daniel Sherwin holds a degree in Chemistry and plans to be a scientist sometime soon. He finds himself very close to the nature. Currently, he is living in New York, USA.